A new study published by the American Medical Association, shows the many ways in which depression negatively affects your health and highlights the benefits of exercise for relieving depression and keeping your heart healthy. The research team found that participants with high fitness levels at midlife had a 56 percent lower risk of dying from heart disease after receiving a diagnosis of depression. This study caught the attention of Capital Cardiology Associates board-certified cardiologist, Dr. Brion Winston, who routinely prescribes fitness and physical activity to his patients. “Many of my patients have overt heart or vascular disease; they’ve had a heart attack, blocked arteries, or maybe a mini-stroke. Now we are looking to promote wellness.” Our discussion began to focus on how activity and exercise, as simple as taking a walk around the neighborhood after facing a stressful situation, helps clear our mind and raise our spirits. For cardiac patients or older adults with heart conditions, stress can be a trigger that elevates their risk factor for angina (chest pain) and shortness of breath. Dr. Winston shared, “there is a particular syndrome that we look at in cardiology, we call it commonly a ‘broken heart syndrome.’ This is due to an acute stressful event and sometimes this precipitated by very bad news.” While this term may seem more like an old wives’ tale, a spouse who passes away close after the sudden or untimely death of their partner; takotsubo cardiomyopathy as it’s known in the medical community, is very real. “Tako-subo” is Japanese for “fishing pot for trapping octopus.” Since the condition was first reported in Japan in 1990, the name fits how the left ventricle of the heart changes into a smilier shape as the pot. Figure A shows a normal heart. 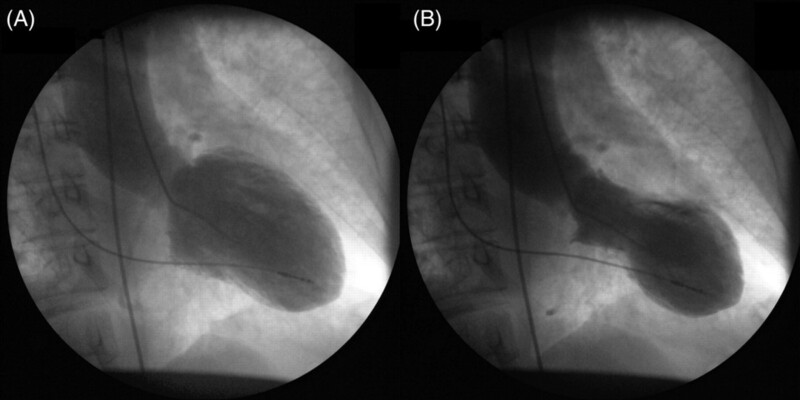 Figure B shows a heart with takotsubo cardiomyopathy. Broken heart syndrome is different from a heart attack, in that heart attacks are generally caused by complete or partial blockage of plaque in an artery of the heart. That artery build up of fatty acids narrows the blood flow, causing a blood clot in the wall of the artery. A heart attack is then the result of the buildup when the heart muscle is deprived of oxygen and nutrients. In broken heart syndrome, the arteries are not blocked, although because of other factors caused by stress, the blood flow is reduced to the heart. In rare cases, broken heart syndrome is fatal. “Rarely, when they are hospitalized, this can progress to a full on shock syndrome with ICU admission or need for intensive care,” noted Dr. Winston. Doctors can prescribe mediations that can block the effect of stress hormones on the heart. In most cases, the condition usually reverses itself in days or weeks. Or, as the research would suggest, a long walk with a friend to put what stresses you, behind you.